Using inclusive language, Thomas Barnett has translated all 150 Psalms into engaging and reverent renditions that bring the Psalms to a new life. 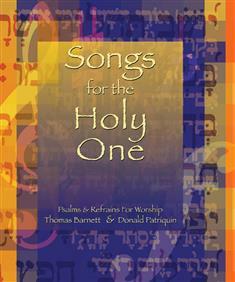 Each Psalm is paired with original refrains from composer, Donald Patriquin. The Psalms retain the poetry and integrity of the originals, yet have been revised to bring out the passion and exultation of the Psalms.